There have been several commercials in the media recently, advocating heat as a source of back pain relief. One such ad depicts a man giving a presentation to a group when a voice says, “Do you feel like this?”, then immediately a dude with a 2-by-4 steps into the picture and whacks the poor guy on the back. The message concludes with the man smiling with relief while pointing to a heat-generating stick-on pad that has eased his troubles. While heat applications can be a source of pain relief, it can also lead to a worsening of your overall condition that caused the pain. Wait, What? Yes, I said it: applying heat will ruin your day after a NEW INJURY (notice lettering in all caps). 1. Have someone (who you lost a bet to) help you sprain both ankles, or help you tear your hamstrings (or do it yourself—I don’t care). 3. Apply moist hot packs to the right side as often as possible. What’s that? This study has already been done? Well, yes, kinda, but without the premeditated violence. There are several scientific studies which have compared heat and ice as therapeutic applications. The conclusions are somewhat muddled as to the effectiveness of ice application to new musculoskeletal injuries. What is very conclusive, however, is the PAIN-INTENSIFYING, MUSCLE SPASM INDUCING effects of HEAT application to musculoskeletal and ligamentous NEW INJURIES (sprain/strains). Here’s why: When muscle, tendon, ligamentous and/or fascial fibers become damaged or torn they (the damaged fiber cells) attract white blood cells which then start to release inflammatory substances (histamines, cytokines, substance P, among other stuff) which bind to pain-sensitive nerve endings & muscle tissue & Voila: pain, swelling, redness, spasm & loss of function to the area. When heat is applied, (hot pack, sitting in a Jacuzzi, etc.) to a newly injured area, your brain senses the increased temperature & automatically sends more inflammation-producing white blood cells which will markedly up the intensity of your swelling, pain, & muscle spasm which were already present. In other words, if you want more muscle spasms & pain (than you already have) immediately after you hurt your back–just put heat on it. When is it OK to apply heat? Answer: When your injured area isn’t in the acute state anymore. How do I know when it’s not acute? When the area is no longer hot, swollen or tender to the touch. With chronic pain, heat (especially moist heat) can be a cheap but effective remedy for muscular pain & tightness. Stay tuned for further topics on injury recovery, prevention & the Fit Life. 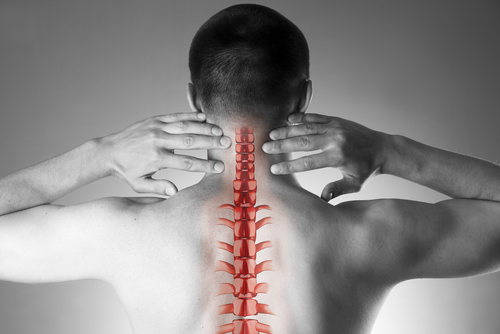 The #1 cause of worker’s disability is related to spinal injury! Understanding and keeping our spines aligned is vital to a healthy lifestyle. Check out these interesting facts about this critically important part of our body. 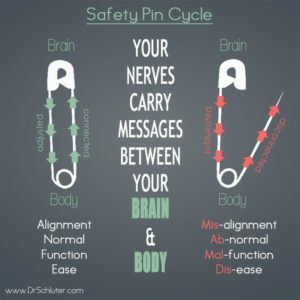 This analogy of a safety pin demonstrates the importance of maintaining a healthy spine. 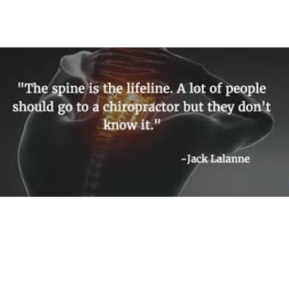 When your spine is out of line your whole body will feel the effects! 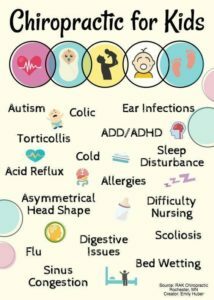 Chiropractic care is the solution to these health problems. Come in today to receive the optimal health you deserve! 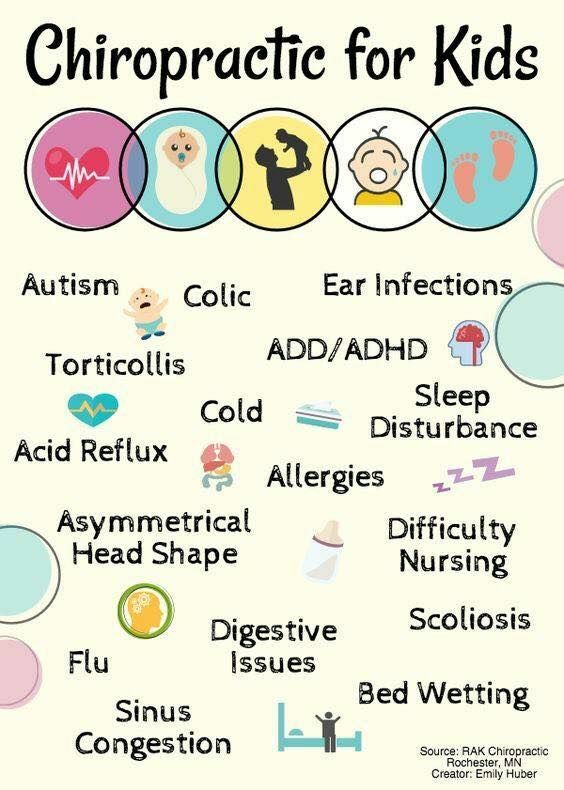 Chiropractic care for kids has many incredible benefits. Come in today to help your children gain the best health. Call to schedule your appointment at (361) 371-7100! A powerful video that demonstrates what chiropractic care can do through consistent treatment. Not everyone is this severe but everyone can be helped to live a more healthy life through regular chiropractic visits. Chiropractic care truly changes lives! Great words of advice from one of the greatest fitness experts of all time. Don’t neglect the lifeline of your body! Come into Fitlife today to get the optimal health you deserve! It’s a common misconception that chiropractors are uneducated, or that they don’t hold the title of “doctor”. While it’s true that a chiropractor is not the same as a medical doctor, a chiropractor still has to go to medical school in order to earn their degree. And just as with a medical doctor, a chiropractor cannot legally practice without being licensed and going through the correct schooling. At Fit Life Chiropractic, we recognize the impacts that pain and dysfunction can have on one's personal and professional life. We are committed as primary healthcare professionals to help our clients resume their lifelong pursuit of health and well-being. Dr. David Nelson at Fit Life Chiropractic has 20 years’ experience helping people with injuries & illness. Pain is not something you have to live with. Call (361) 371-7100 today and get started back on the track to health. Copyright © 2017 Fit Life Chiropractic, All rights reserved.